Notifications will be emailed to the PI by January 29, 2019. If you have not received a notification by then, please contact Kelly Wyatt. Those who qualify for the Grizzly Den will be notified separately. Click here for the list of CAEP grant winners. 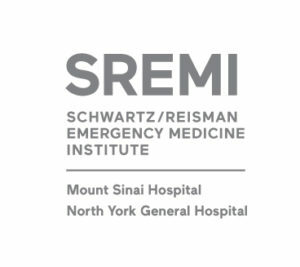 A new partnership has been developed between CAEP and the Schwartz/Reisman Emergency Medicine Institute (SREMI) which will support two $5,000 grants for the 2018/19 Grant Competition. 1 grant for research that is aligned with the SREMI Pillars of Inquiry (geriatrics and the ageing population; alcohol and substance use disorders; mental health, including youth mental health; shared decision-making; transitions of care; women’s health; and emergency care equity). An ongoing partnership between CAEP and the Canadian Venous Thromboembolism Clinical Trials and Outcomes Research (CanVECTOR) will support one $5,000 grant for the 2017/18 CAEP Grant Competition. The CAEP-CanVECTOR Grant is for a research project that aims to reduce venous thromboembolism (VTE) occurrence, improve VTE diagnosis and therapeutic management, improve the safety of anticoagulant delivery, or enhance the quality of life of those impacted by VTE in the emergency care setting. Four grants are available, up to $5,000 each. This category is only open to junior investigators (< 5 years post-EM-residency). Two EMAF grants are available, up to $10,000 each. This category is open to EM fellows, graduate students, staff physicians, faculty, etc (i.e., not limited to junior investigators). The top 3 runners-up in this grant category will be invited to participate* at the CAEP 2019 Grizzly Den competition in Halifax, where presenters will compete for up to $10,000 in grant funding. Thank you to our generous EMAF donors who have made these grants possible. *Participation in the Grizzly Den is optional. You must be a CAEP member to submit a grant application and to receive grant funds. Proposals submitted to multiple categories will only be considered for the one with the lower value. The grant competition is only open to residents of Canada. Successful applicants to the 2018/19 and future grant competitions will need to submit their end-of-grant report before being eligible to apply for subsequent grant applications. A PI can only hold one CAEP grant of any kind at a time, and will become eligible to re-apply once end-of-project reporting is received by CAEP. A PI submitting more than one grant application (in a given year) whose multiple projects are eligible for funding at the $5,000 and $10,000 level will be asked to accept only one grant of their choosing. A PI who is successfully offered a grant at the $5,000 level and is also invited to participate in Grizzly Den for a $10,000 grant will be asked to forfeit the $5,000 grant if they agree to participate in Grizzly Den (N.B. This implies the possibility of receiving no funds from CAEP). CAEP grant money must be received and held by the recipient’s institution and will not be paid to the PI directly. CAEP financial support cannot be a supplement to other funding sources or be used for meeting registration, travel, publication cost, or equipment purchases (software license excepted). CAEP acknowledges that, given the timing of the grant application process, the projects of some investigators in training may be at various levels of implementation at the time of CAEP grant application. It is reasonable that project-related expenses that already occurred at the time of CAEP grant application could be recovered. This, provided the grant proposal represents a project completely independent of any other already funded project (i.e. CAEP grant costs cannot be covered by any another existing grant), and that the project submitted for funding by CAEP will be initiated and completed in the same academic year as the CAEP submission. The principal investigator (PI) and supervisor must both be current CAEP members at the time of application and when receiving grant funds. The PI must be less than five years beyond date of completion of residency training in EM (FRCPC-EM or CCFP-EM). Relevant start and stop dates (i.e., undergraduate MD, residency, fellowship) must be included in the application. Applicants can specify parental or sick leaves that may extend their eligibility or alter their anticipated start and stop dates. A letter of support is required from the PI’s supervisor (e.g. director of the residency program, director of the fellowship program etc.) confirming training status, and training start and stop dates. Area of fellowship training must be mentioned in the letter of support from the fellowship director. Any fellowship training outside of the list* requires special mention and justification for consideration in the required letter of support from the fellowship director. Applicants who misrepresent their eligibility or whose membership type is not accurate, will be disqualified. Any fellowship training outside of this list requires special mention and justification for consideration in the required letter of support from the fellowship director. The principal investigator (PI) and supervisor (if the PI is not an emergency medicine faculty member) must both be current CAEP members at the time of application and when receiving grant funds. Relevant start and stop dates (i.e., undergraduate MD, residency, fellowship, appointment at the level of assistant professor) must be included in the application. If the PI is a faculty member, a letter of support is required from the department director of the ED or the EM academic lead for the university (chair, division director, chief) verifying that the PI has sufficient training, infrastructure, time and resources to complete the project. If the PI is not an emergency medicine faculty member, a letter of support is required from the PI’s supervisor (e.g. director of the residency program, director of the fellowship program, etc.) confirming training status, and training start and stop dates. If the PI is an allied health member, a letter of support is required from the department director verifying that the PI has sufficient training, infrastructure, time and resources to complete the project. Area of fellowship training must be mentioned in the letter of support from the fellowship director. Any fellowship training outside of the list requires special mention and justification for consideration in the required letter of support from the fellowship director. *Area of fellowship training must be mentioned in the required letter of support from the fellowship director. Proposals are limited to 2000 words total: structured research abstract (250 words), research in depth (1500 words), and timeline and impact (250 words). The title and attachments are not included in the word count. CAEP no longer requires grant applications to be blinded. Title: Enter the title in sentence case. Do not put the title in quotation marks. Structured abstract: Suggested headings include: Introduction, Research Question, Rationale, Methods, Impact, etc. (adjusted according to your topic). Research in-depth:Required headings: Introduction, Rationale, Research Question, and Methods. Include all the materials in a single file for the upload. Data justification tool: how you plan to analyze the data (i.e. is your sample size large enough to answer your questions). This section may not apply to all types of studies. Tables and graphs: Upload as attachments with specific labels for cross-referencing. PIs who are junior investigators (residents and fellows) – include a letter of support from your supervisor (e.g. Director of the Residency Program, Director of the Fellowship Program or Graduate supervisor when appropriate) confirming training status , and training start and stop dates. For PIs without a supervisor, a letter of support from a colleague speaking to your ability to complete the project can be included. PIs who are faculty members – include a letter of support from the Department Director of the ED or the EM academic lead for the University (Chair, Division Director, Chief) verifying that you have sufficient training, infrastructure, time and resources to complete the project. There is no limit for the number of unique grant proposals that a person may submit. Note that if one proposal is submitted for multiple categories, it will only be considered once (for the lower valued grant). If you are submitting on behalf of the PI please do not include your name in the author list. Do not use abbreviations or quotation marks. The principal investigator must be listed first. Please enter all remaining authors in the order that they should appear. Supervisors should not be entered as a co-author. Each grant proposal is assigned to three reviewers (outside of their university or hospital). Assigned reviewers can declare a conflict of interest to have the proposal re-assigned. The reviewers are given approximately 2 weeks to review all their assigned proposal using standardized method-specific review criteria. Once all of the reviews are submitted, the scores are ranked using the average score from the three reviews. The top proposals by rank are further reviewed by the Research Committee Chair and the two other committee members to ensure that the applicants are appropriately qualified. The top three runners-up in the EMAF grant category will be invited to participate in the 2019 Grizzly Den competition in Halifax (participation in the Grizzly Den is optional). CAEP reserves the right to limit the number of grants offered in a given category if too few applications meet a minimal quality standard (to be determined by consensus annually). Notifications will be emailed to the PI by January 29, 2019. Those who qualify for the Grizzly Den will be notified separately. Click here to download the scoring matrix. Within 15 months of receiving CAEP funding (i.e. within 90 days following the completion of a 1-year project), recipients (and/or their supervisor) will be asked to provide a financial report to CAEP demonstrating the use of funds and return any unused funds to CAEP. This end-of-project report will also specify status of the project including presentation of any abstract of manuscript in preparation. Recipients will not be eligible for future funding until such end-of-project report is received by CAEP. Recipients intending to apply for additional CAEP funding in a following year can submit their end-of-project report ahead of the 15-month timeline.